Discussion in 'High Definition' started by baggio, Oct 6, 2017. Prepare yourselves this June for an onslaught of mad science and the living dead as Umbrella Entertainment rolls out all three classic RE-ANIMATOR films on Blu-ray! Leading the charge is our 2-disc collector's edition of Stuart Gordon’s seminal RE-ANIMATOR - including both the theatrical and integral cuts of the film, along with a bevy of special features. Following that up is the undead double feature of BRIDE OF RE-ANIMATOR, and in a world-first on Blu-Ray, BEYOND RE-ANIMATOR. Directed by Brian ‘Society’ Yuzna, and featuring genre icon Jeffrey Combs returning in the titular role, 'Bride of' and 'Beyond' continue the gore-soaked insanity of the original. Including the unrated and r-rated cuts of 'Bride of Re-Animator' and a collection of great extras, horror and Lovecraft fans are not going to want to miss this! Watch this space for more details and pre-order info! Sounds lik bride and beyond will be a set, hope they also release them separately, I have bride and have no interest in double dipping. Newly restored from a 4K scan, Russell Mulcahy's outback animal rampage is unleashed in a brand new edition with newly commissioned special features! blu-ray for the first time in the world. "It literally is a horror film quite unlike any other … It has a very, very unique tone and the closest equivalent to this tone is The Shining," - Quentin Tarantino. Tony Williams' unsettling horror tale set in a remote retirement home hits blu-ray newly remastered from a 4K scan and for the first time worldwide. Receiving huge critical acclaim, and winner of 8 New Zealand Film Awards, this compelling sci-fi thriller has been rightly compared to the Twilight Zone for its chilling portrayal of a barren, post-apocalyptic world from which there is only one means of escape. Vincent Ward's striking tale of medieval pilgrims travelling through time to save their village, was nominated for the Palme d'Or at Cannes, and comes to blu-ray newly remastered from a 2K scan for the first time in the world. Be sure to follow Umbrella Entertainment on social media for more details of these and other upcoming releases! Katatonia and baggio like this. 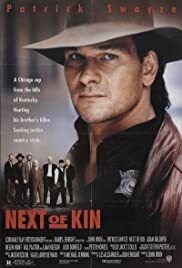 Wow, Next Of Kin! Definitely getting that. Next of Kin and The Navigator: A Medevial Journey are pretty awesome films. I'm surprised they're getting a Blu-ray release, but most welcome. Haven't heard of the others before but I'll be picking up Razorback and Next of Kin. I was actually thinking of the latter the other day so this is fantastic news to hear it's finally hitting Blu-ray. They are re-releasing Beastmaster on Blu. Sounds exactly like their old disc, unless it's a new transfer or something. The artwork even looks identical. We're pleased and extremely proud to present the official artwork for RAZORBACK, available on Blu-ray (remastered from a 4K scan) under exclusive label BEYOND GENRES from August 1st! Zombie Dude, Katatonia and baggio like this. Beyond isn't getting rave reviews. Heavy DNR. Looks like the one to get might be Vestron? Any thoughts guys? Is Vestron uncut? Umbrella is uncut. satans-sadists, baggio and Katatonia like this. Whenever I see or hear Next of Kin. I think it's this. Here's a selection of stills from NEXT OF KIN to whet your appetite ahead of the upcoming Blu-ray release of Tony Williams' Ozploitation classic, remastered in 4K from the original 35mm interpositive! baggio, Zombie Dude and Katatonia like this. Looks quite nice. I'll be buying this but likely when a sale comes up. Same as Razorback. These releases are a little too pricey atm. Over here in the U.S. , Umbrella Blu's are priced pretty fair. Usually lower than anything by Shout, Scorpion, Code Red for example. $16 -$17 range without any sales or coupons.